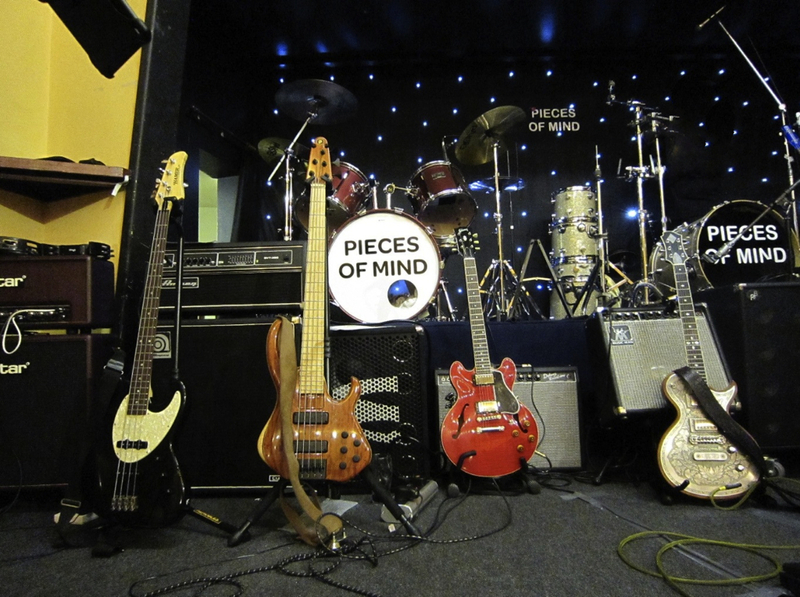 The Pieces of Mind were a very popular band in South Wales and Germany in the years 1963-69. From their early practices at the St. John the Bosco Hall, on Cromwell Road in Newport, through supporting bands such as The Who at Coed Eva Community College in 1966, to playing nightclubs. such as the Star Club, Top Ten & Crazy Horse in Hamburg, the Pieces achieved an almost cult status. The band got on well with a promoter called Maurice (Mo) White, who owned the music shop in Newport, He used them as support act for many well-known groups he brought to South Wales. These included: Billy Fury, Chicken Shack, Stu James & the Mojos, Georgie Fame & Blueflames, David Bowie, Gene Vincent, Johnny Kidd and the Pirates, Manfred Man, Marty Wilde, The Applejacks, The Hollies, The Merseybeats, The Moody Blues, The Nashville Teens, The Pretty Things, The Searchers and The Who. When the band eventually ran out of steam in the late 60’s, members went on to join bands such as David, Judas Jump and The World of Oz. The band reformed in 2013 to celebrate the 50th. Anniversary of forming in 1963 and is now gigging again.